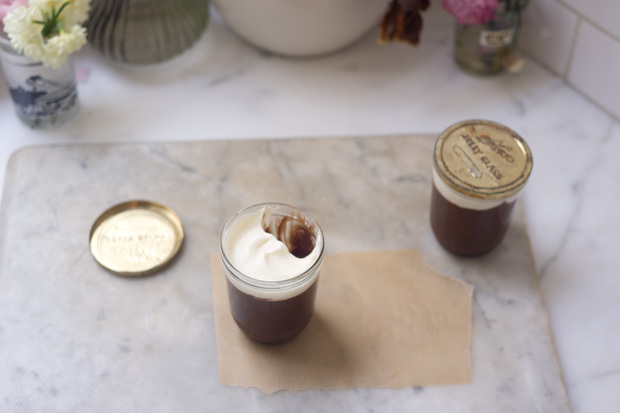 Renowned for beautiful cakes and whimsical confections, Miette Patisserie is among the most beloved of San Francisco’s culinary destinations for locals and travelers. Miette’s pretty Parisian aesthetic enchants visitors with tables piled high with beribboned bags of gingersnaps, homemade marshmallows, fleur de sel caramels, and rainbows of gumballs. 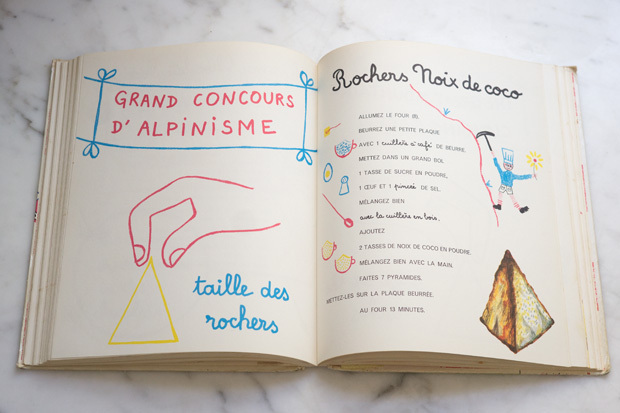 This cookbook brings the enchantment home, sharing 100 secret formulas for favorite Miette treats from chef and owner Meg Ray. 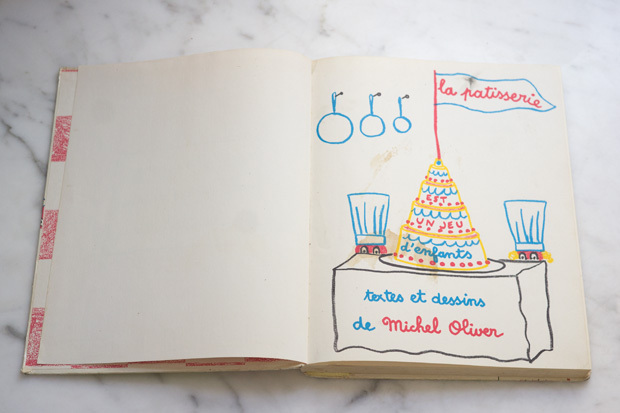 The artful photos by Frankie Frankeny and the design work by Sara Schnieder – especially her genius idea to scallop the pages – make this an incredibly beautiful book. 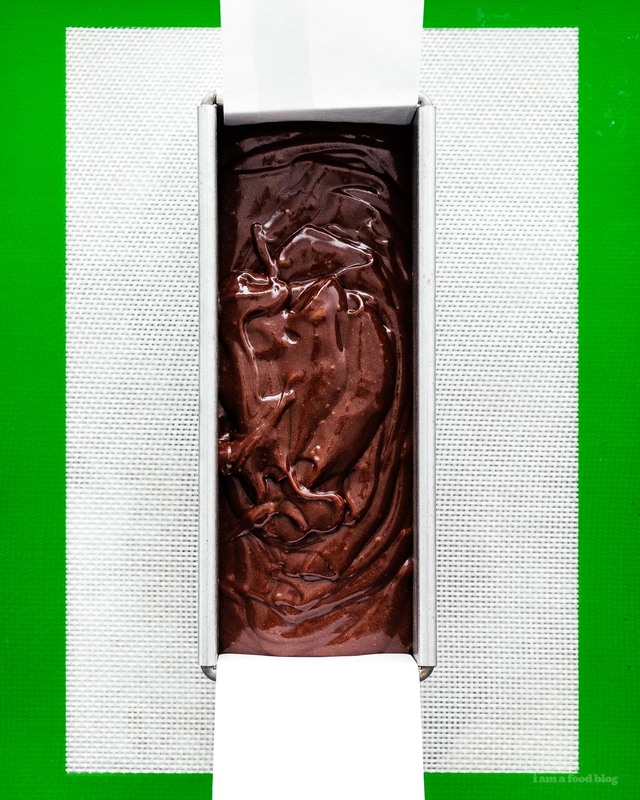 If you’re looking for a small batch treat to celebrate St. Patrick’s Day, this little chocolate Guinness loaf is for you. It’s rich and deep with just the barest hint of Irish stout and is absolutely perfect on it’s own or along side a pint. Even though this is technically a post to celebrate St. Patrick’s Day and it has nothing to do with British people, I wanted to mention that I just love the way British people describe sweets. Or food in general. One of my all time favorite things to do in winter is watch Nigella Lawson while I’m doing Christmas baking. She has a whole series of Christmas specials and they always feel that way: special. I think it’s something in the way she talks about food. Everything is luscious and magnificent. Flavors are resonant and gorgeous. It really makes me want to improve my lexicon and branch out from just exclaiming that everything is awesome. 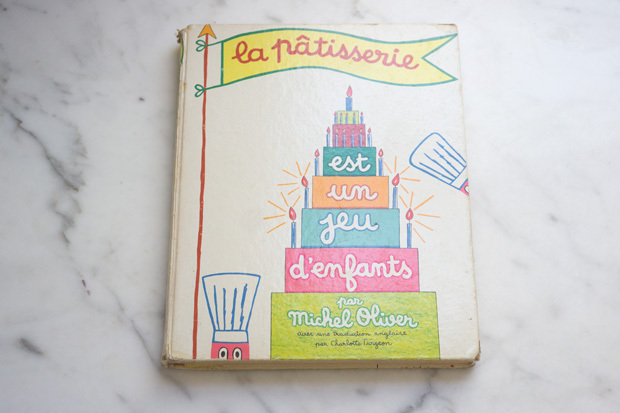 But, speaking of awesome, this little cake definitely is. It’s a Nigella recipe, naturally, and it’s all of the over the top adjectives. 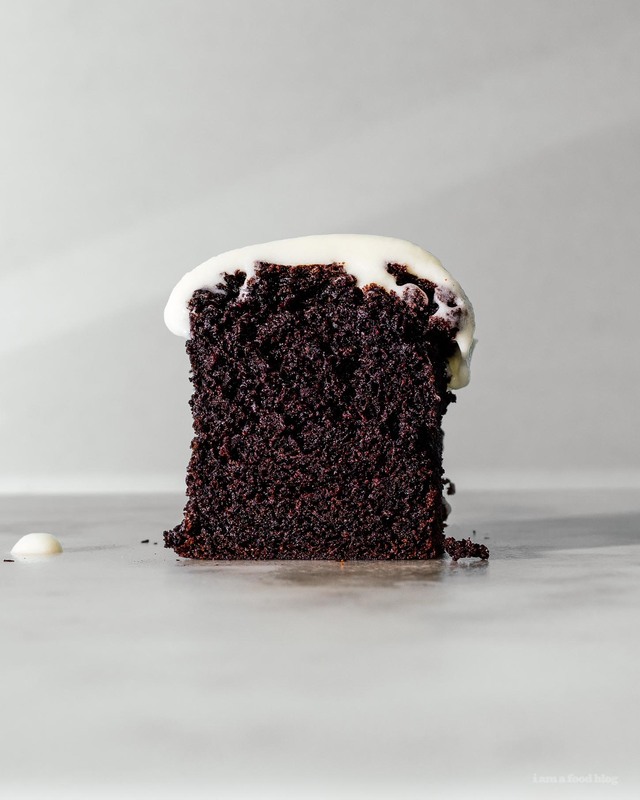 I third-ed the recipe and it just about fit in my little loaf pan – you may want to hold back a 1/4 cup batter and make an extra cupcake on the side because my just spilled over the top. It has an awkward egg measurement, but if you have a kitchen scale (if you’re into small batch baking at all, I hope you do!) it’s no big deal to whisk up an egg then measure it out. I truly love using my scale to bake, especially when doing small batch recipes. It just makes the math so much more easy. 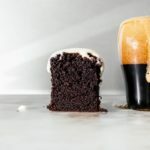 Even though I topped the cake with a bit of creme fraiche frosting – it’s supposed to kind of look like a glass of stout – I loved the cake without. And, as Nigella says: it is perfectly acceptable to leave the cake un-iced: in fact, it tastes gorgeous plain. 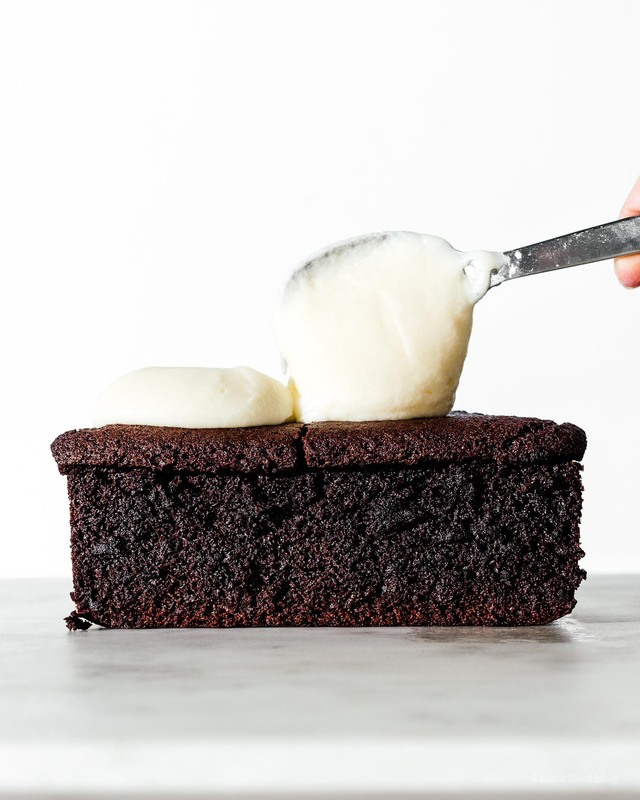 Heat the oven to 350°F and butter and line your mini loaf pan (6×3 inches or a pan that fits 2 cups liquid). In a small pot, over medium heat, combine the Guinness and butter. 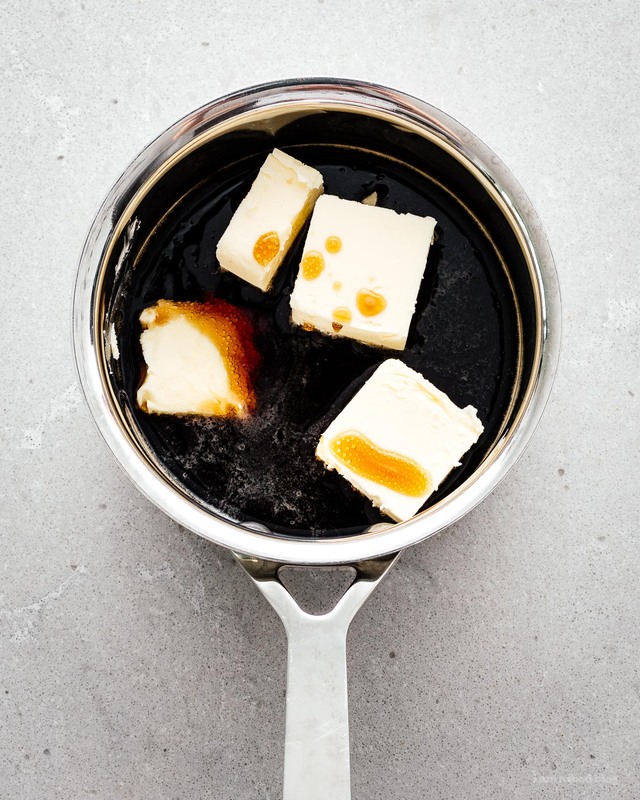 When the butter is melted, remove from the heat. 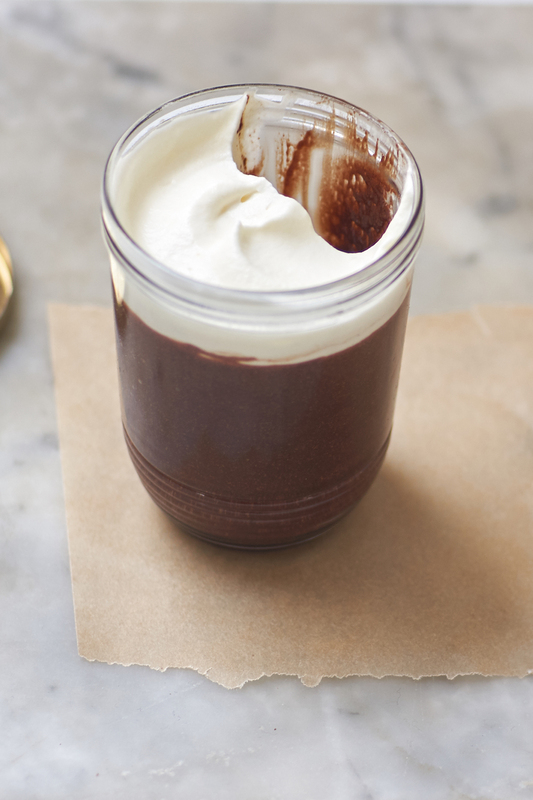 Whisk in the cocoa, then the sugar. 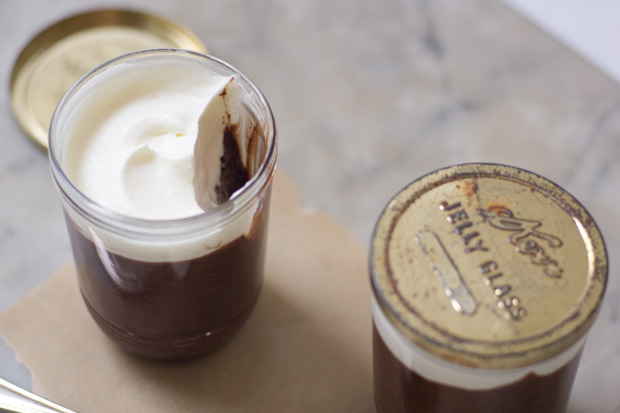 In a small bowl or liquid measuring cup, whisk together the sour cream, egg, and vanilla. Whisk into the beer mix. 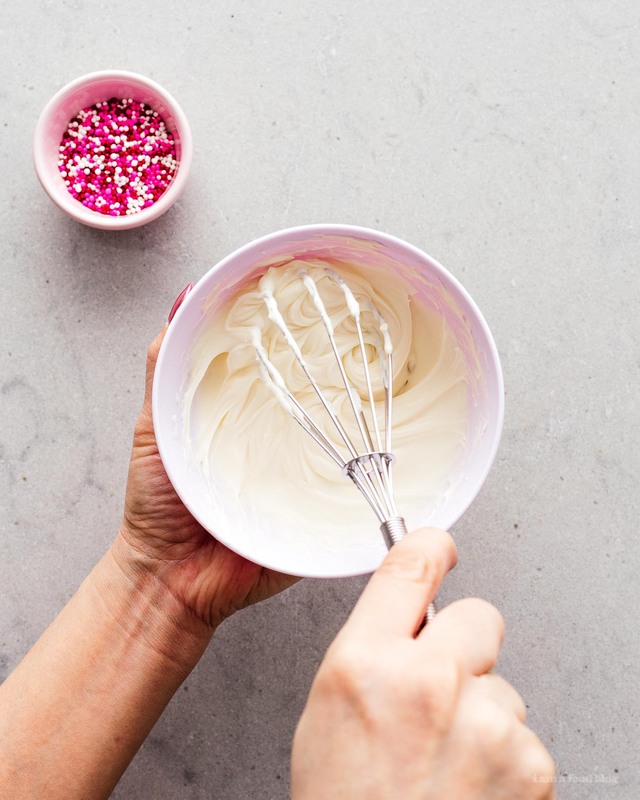 Whisk in the flour and baking soda until smooth. 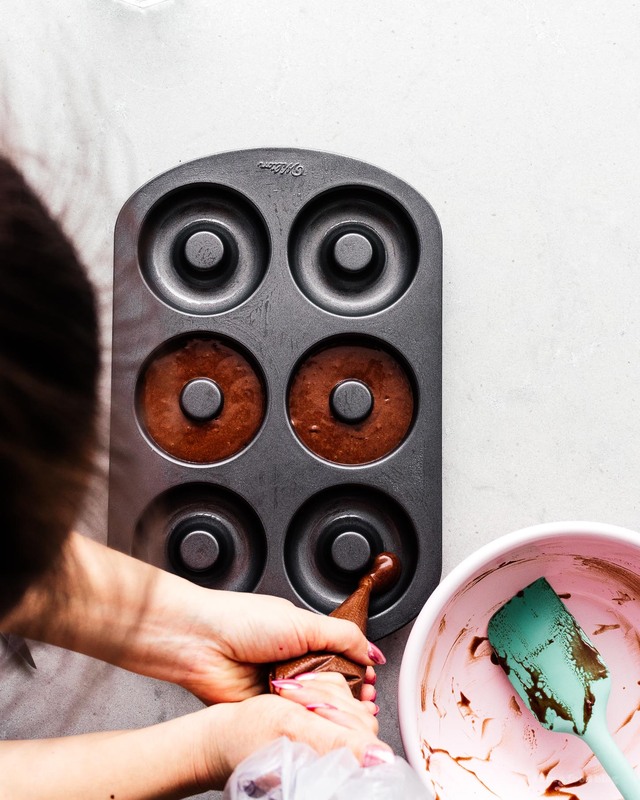 Pour the batter into the prepared pan and bake for 40-45 minutes, or until the top springs back when pressed and a skewer inserted into the center comes out clean. If you’ve ever been to Lilia in Brooklyn, NY, you know that a forkful of Missy Robbins’ cacio e pepe is like being struck by cupid’s arrow, only it’s better because instead of falling in love with a person you’re falling in love with a big a pile of pasta. But it isn’t the copious amounts of cheese or the squiggly edges of house-made mafaldini to go head over heels for—it’s the pink peppercorn. The fruity, slightly sweet, peppery spice is an unexpected and totally inspired surprise. I enjoyed that pasta so much, I’ve since experimented with pink peppercorn in just about everything. I’ve used it in place of capers in a rosé piccata. I’ve mixed it with honey and drizzled it over baked feta. One time I was so desperate for a pinch that I sorted through a jar of tri-peppercorn blend I found in my spice cabinet just to snag a few. Besides it’s obvious flavor disparagement, pink peppercorn is very different from black peppercorn. The biggest distinction is that it isn’t a peppercorn at all. Since it’s peppercorn-sized and has some flavor similarities, it’s often labeled as such. In actuality, it’s a dried berry from a Brazilian pepper tree, which explains its fruit-like flavor. 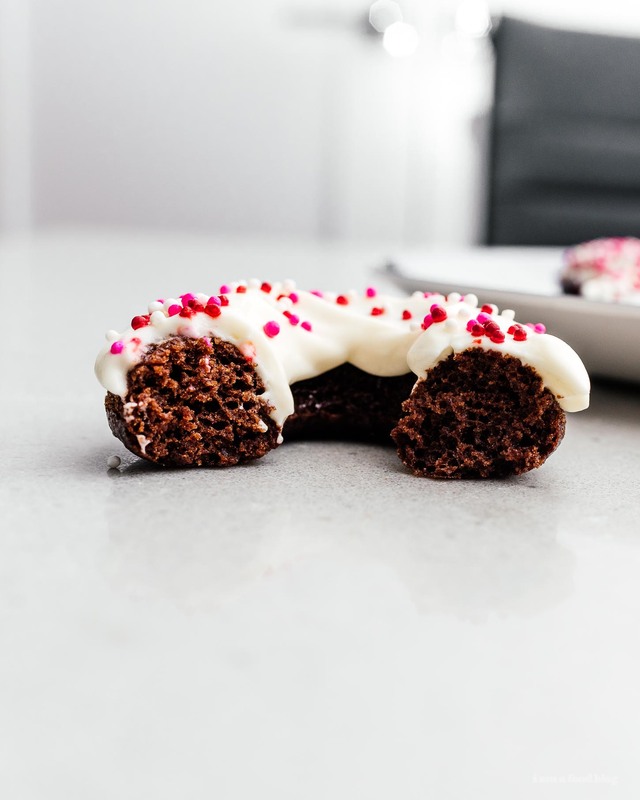 And since it’s a little sweet and a little spicy and I can’t seem to get it off my mind, I thought it would be a perfect addition to a Valentine’s Day dessert. And what better way to showcase its flavor and beauty than in a blondie, the edible equivalent of a blank canvas. Since these blondies are flecked with blush specs of pink peppercorn and swirled with raspberry jam, I like to call them “pinkies.” But they’re not just pretty to look at—with only a handful of ingredients and minimal equipment (just one pot! ), they’re also super easy to make. Cut them into squares and share them with your friends or loved ones. 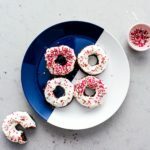 These little bites of pink peppery perfection, studded with sweet white chocolate chips and swirled with red raspberry ripples are just as delicious as they are cheeky—and make for a sweet valentine. I am deep into baking things without eggs. First, I was all about dividing eggs up for small batching, but now I’m all about small batch recipes that don’t even use eggs. The nice thing about egg free cake is that it’s vegan and also perfect for people who happen to be allergic to eggs, like my littlest nephew. Luckily for him, he just grew out of that allergy and he’s so happy about it! The first thing he wanted to eat was cake. He’s not really into eggs themselves, just cake. 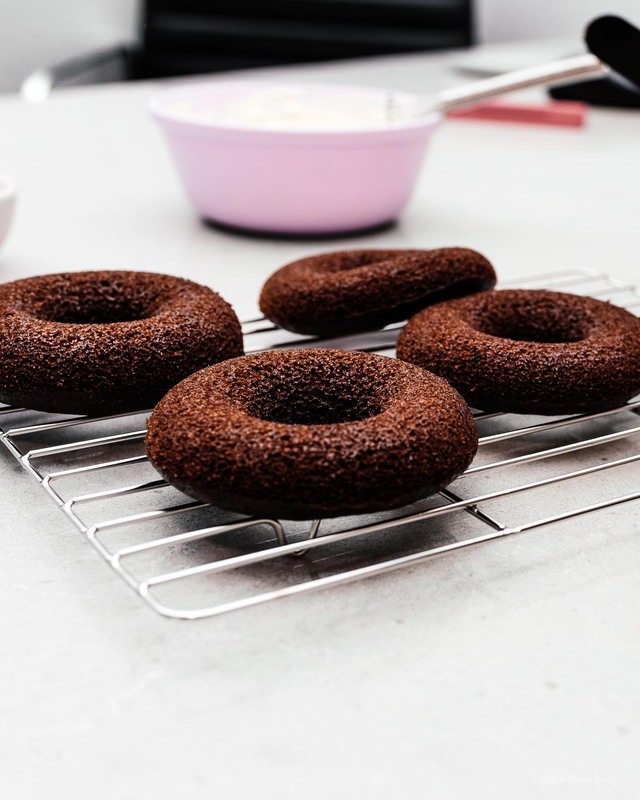 But, for all those other people out there who are still allergic to eggs, or are vegan, these baked chocolate doughnuts are for you! They’re really quick to put together: just stir together the dry ingredients, make a well, pour the wet ingredients in the well, mix it up and bake. 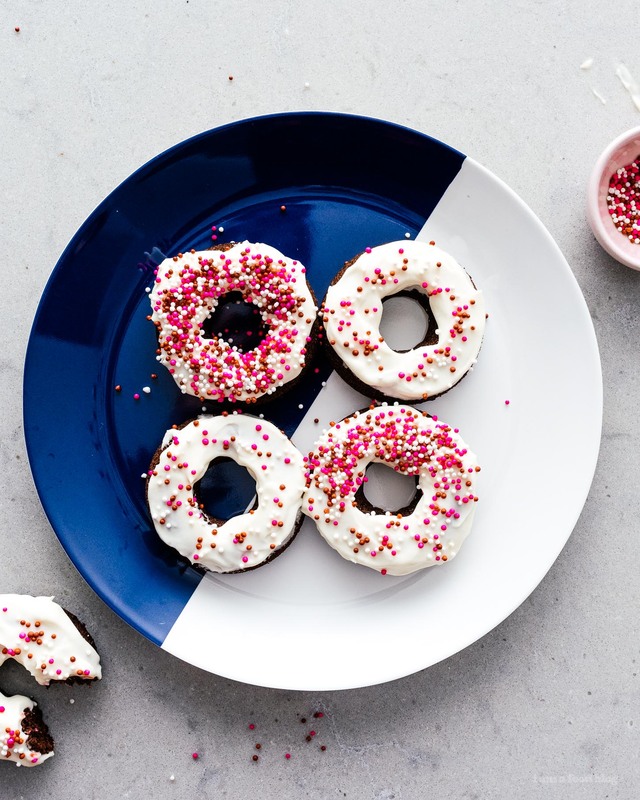 Essentially this recipe is this one, but in doughnut form. I went ahead and put some non-vegan cream cheese frosting on it because I’m living my best life but you can keep it vegan with a bit of simple coconut oil and powdered sugar glaze. Oh, and sprinkles of course! I got these sprinkles at my favorite bulk store. It’s amazing there. Every holiday they have a selection of themed sprinkles. And they have the best snack foods. At first it was a little weird to see bins and bins of things like cheetos, chips, and pretzels, but then I realized the potential: SNACK PARTY! It’s awesome because it’s a bulk store so you can get as much or as little as you like and everything is really fresh because they have incredible turnover. Inevitably when we go, I pick out a tiny amount of every conceivable salty snack. Mike always just gets a big bag of sour candies. When we get home I put all my salty snacks onto different little plates and have a little snack smorgasbord party. SO GOOD. Also so good are these doughnuts. It’s a good thing that they’re small batch because I just ate two in a row. Soon they’ll be gone and I won’t have to feel too guilty about it because there were only 5. PS – Are you a one flavor giant family size bag of chips person or a six different little bags of chips person? Preheat the oven to 350°F. Spray a doughnut pan with cooking spray or lightly oil. 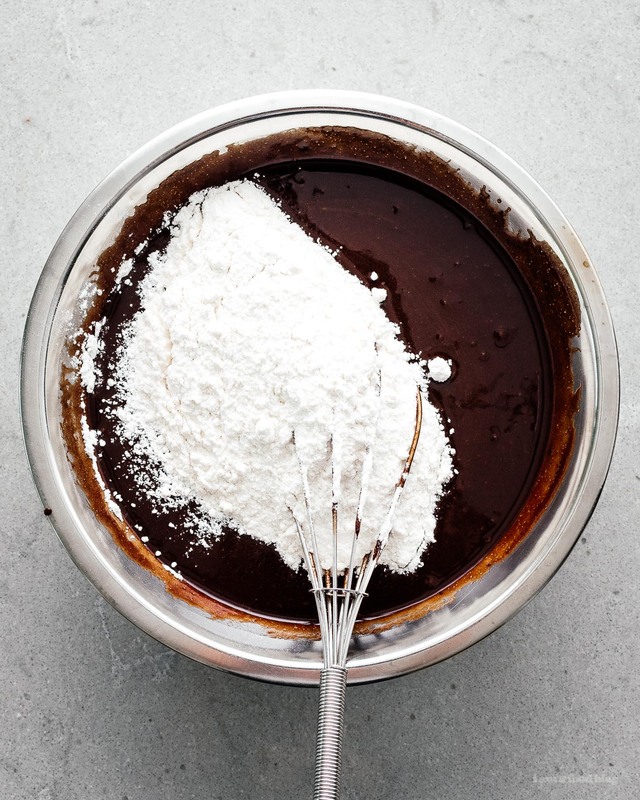 Make the batter: Combine the flour, sugar, cocoa, baking soda, and salt in a large bowl. Make a well in the centre and pour in the water, oil, vinegar, and vanilla. Whisk until blended, some lumps are okay. Spoon or pipe the batter into the doughnut wells, 3/4 of the way up. These don’t rise very much so if you keep them low your doughnuts might end up not as high as you want them to. Bake for 12-14 minutes, or until a toothpick inserted comes out clean or with a couple of crumbs clinging. Let cool in the pan for 2 minutes, then turn out and cool on a wire rack and let cool completely before frosting. Note: I frosted these with a bit of leftover cream cheese frosting that I had (which is decidedly not vegan) but they’ll taste good just plain or with a simple coconut oil and powdered sugar glaze.